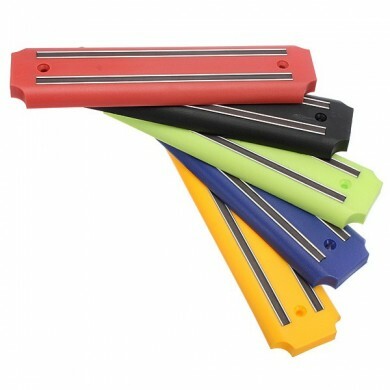 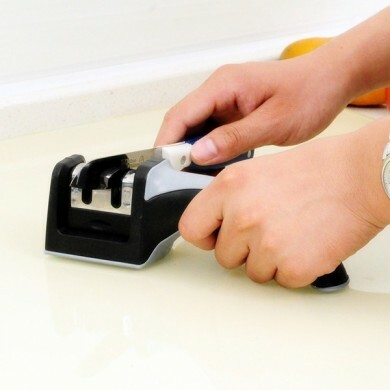 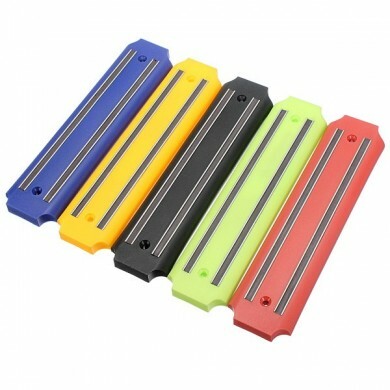 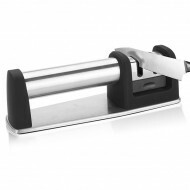 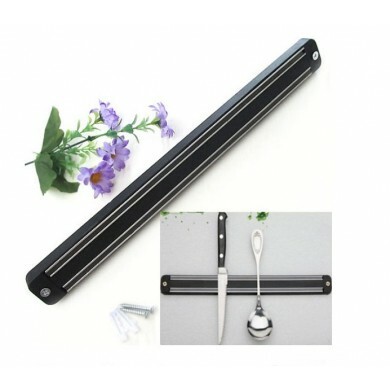 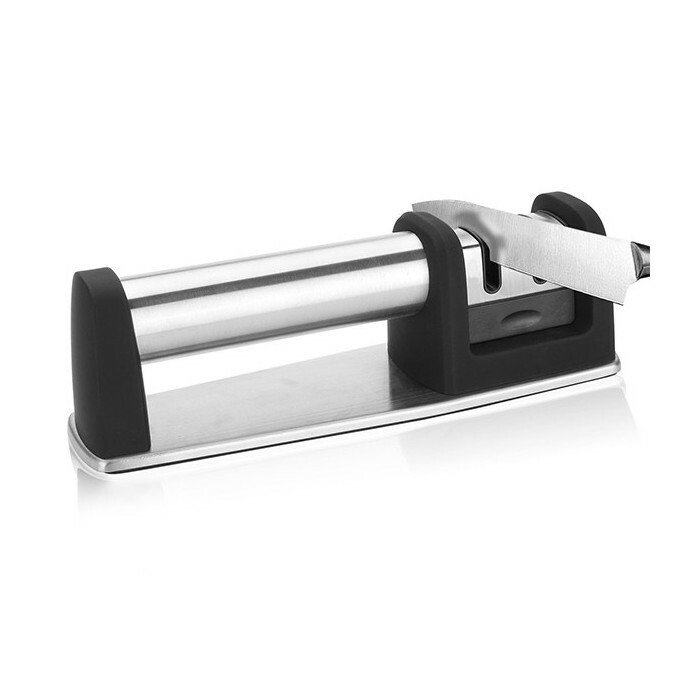 Simply place the 2-Stage Knife Sharpener on a flat work surface when using. 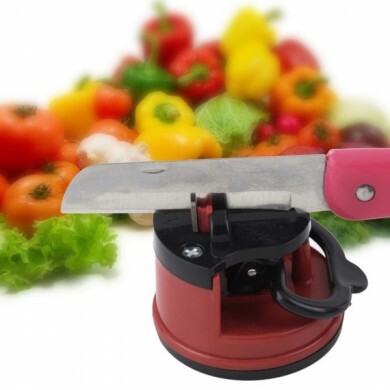 Hold the comfort-grip handle with one hand and the knife handle with the other to sharpen. 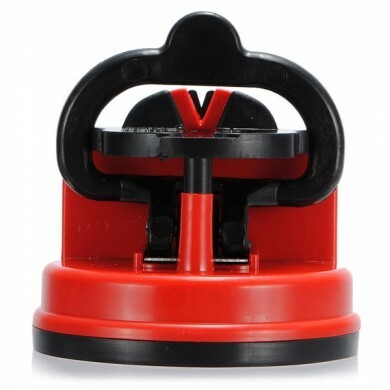 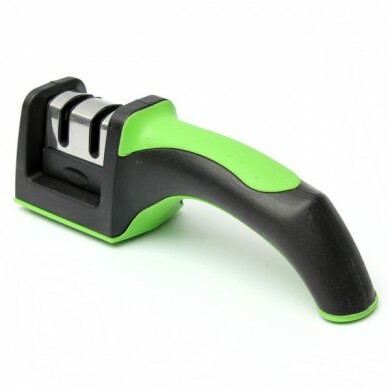 Ergonomic comfort grip handle and lightweight components make the sharpener easy to use and handle. 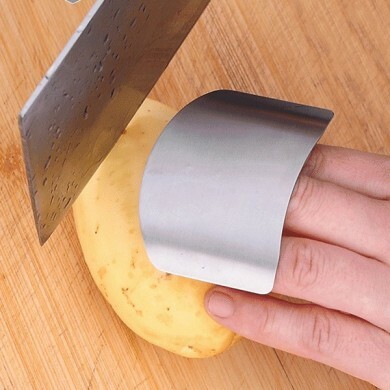 sharpening motions providing more control while sharpening. 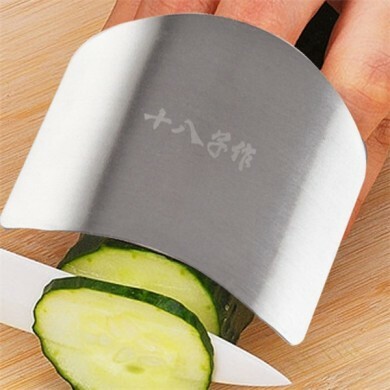 After setting the knife's edge with the carbide side, use the unit's ceramic side to nicely finish the edge to a beautiful shine.